The real estate transaction has been commoditized … have you noticed? Between the Real Estate Settlement Procedures Act, the Consumer Financial Protection Bureau, and state and local regulations, can you honestly tell me that how you transact a brokerage deal, mortgage or settlement is significantly different from your competitors? Face it, everyone has to play by the same rules, so it’s tough to change the transaction process. This leaves you with one choice: Find other ways to differentiate your brokerage if you hope to connect with today’s savvy consumer, whose expectations are molded by experiences at Apple, Starbucks and Zappos. Tesla executive George Blankenship — who formerly worked at Apple — said, “We want to engage people when they are not thinking about buying a car.” What if you could engage people when they aren’t thinking about buying a house? Would that generate referrals? Would that create sales when they were ready to buy? Would that produce listings? Would that establish new and different opportunities that in turn would generate revenue? “Apple strives for the integrated model so that the user isn’t forced to be the systems integrator,” Steve Jobs once said. Think about how many things you can do with your smartphone or tablet. What if you could simplify the homebuying process by streamlining the homebuying process? It’s not enough to offer access to a mortgage, title or other partner company. The process should be consistent, hassle-free and enjoyable process. Each person who touches the transaction must internalize this philosophy and deliver it as well you do. “Starbucks represents something beyond a cup of coffee,” said company Chairman and CEO Howard Schultz. As a big Starbucks fan, it amazes me how comfortable I feel when I visit a store, whether for a quick bite, a cup of coffee, to use the Wi-Fi while I am traveling, or for meetings. I also love the Starbucks app, which simplifies everything. I don’t have to pull out cash or my credit card … I am hooked. Imagine if your company represented something more than a real estate transaction and consumers were similarly hooked. Regardless of whether they were buying, selling, looking to be an agent, remodeling or something else. What would that look like? In regards to Starbucks, I want to go a step further because coffee is a commodity. As I have stated in the past, I believe the real estate transaction has been commoditized, so there are some similarities between the industries, and we can learn from Starbucks. When a product or service becomes a commodity, you can compete only on price. The thing about Starbucks is that it didn’t invent coffee, but it did create an experience around it. 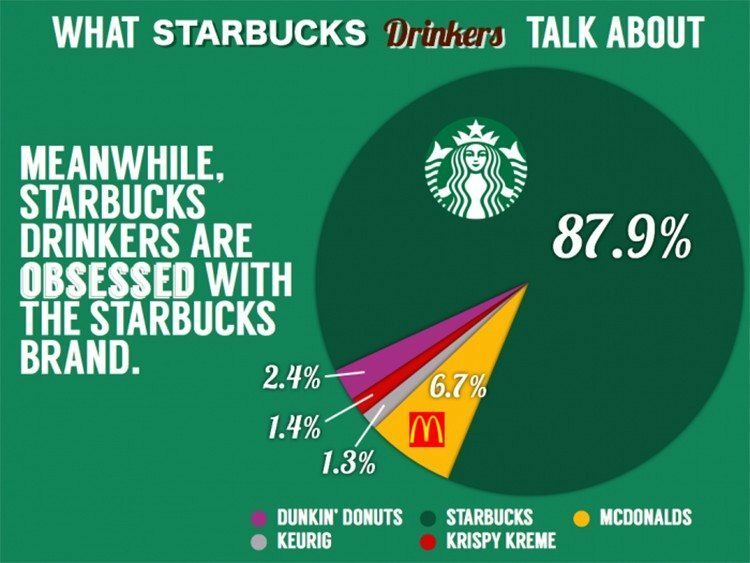 Before Starbucks came on the scene 15 or 20 years ago, most people were perfectly fine getting crappy coffee for 50 cents at a gas station or fast-food outlet. It was a commodity, with no experience surrounding it. Do you order a small or medium coffee? No, you order a tall or a grande. Did you know what a barista was before Starbucks? Could you have imagined scheduling a business meeting in a McDonald’s over coffee? What if the bulk of your business came from referrals and repeat business because you delivered an amazing online and offline experience that made people obsessed with your brand? What if your company helped consumers with everything to do with their home for as long as they owned it? What if your offices were meeting places for the local community where you hosted finance, interior design, landscaping and other seminars? What if you had a real estate-related app that went beyond helping someone find a home and gave the consumer a reason to interact with you? Regardless of whether or not they were buying or selling? What if you weren’t viewed only as someone who’s listing a house for a lot of money and not offering a lot of perceived value in exchange? Jose Perez is the founder of PCMS Consulting.